There are a number of ways to monitor the live traffic situation. Please find a list below. 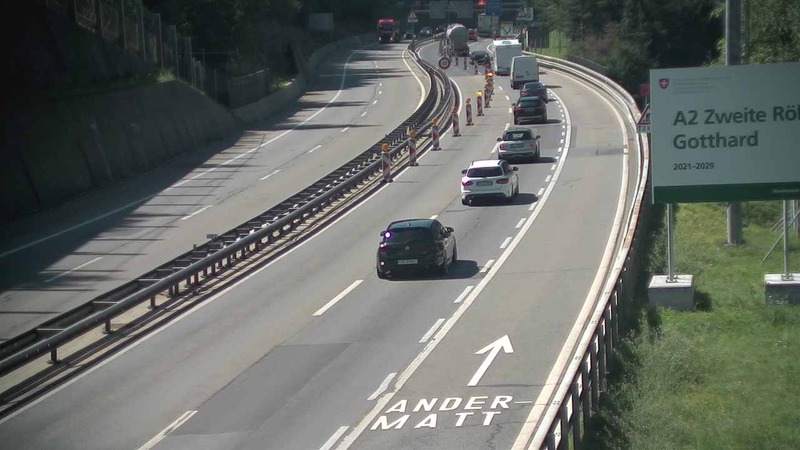 You have 16 Webcams along the Gotthard Road Tunnel. Most of them are on the south side of the Tunnel. Link to all 16 webcams. 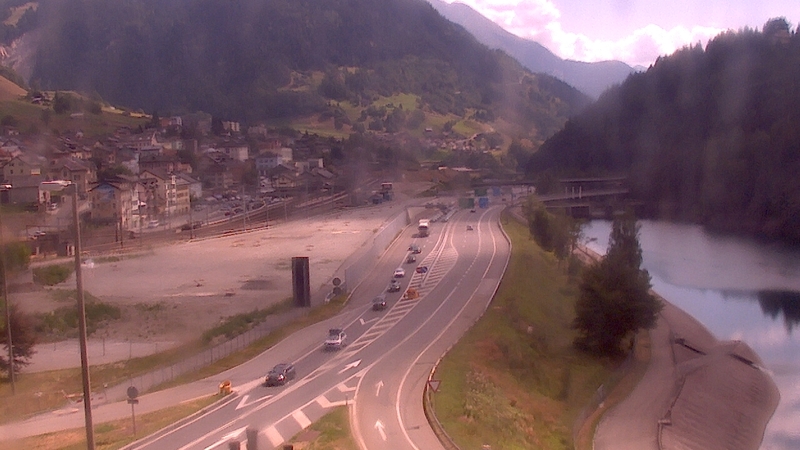 Below are the two webcams just in front of the #Gotthard Tunnel entrances. Twitter is a great option as well. Yet it is not quite real-time. Google also offers real-time traffic info. Check the latest traffic data for Switzerland with Google Maps. Zoom in on the map to find more detailed information. 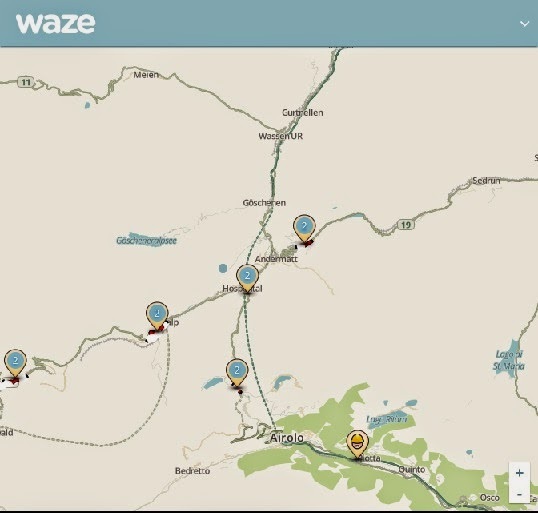 Waze is a mobile app which collects input from drivers on the traffic situation. Please see Waze Live Traffic Mapon their traffic map for the Gotthard Tunnel Road. License CC BY-SA 3.0 Wikimedia Commons. During the peak traffic times we will provide you with a comparison of the Gotthard traffic updates and delays along these two routes. If you want to get the most up to date information just use live TomTom below the table. You will find the comparison for the direction to South (“Italy”) and back to North (“Germany”).